I’m working on a quilt for one of my sweet granddaughters! The fabric is so cute! I’ve had it for years and when I found it this past week, I realized it would be perfect for this quilt! I love the colors, the fabrics, (they’re so soft!). I just love how the all look together! 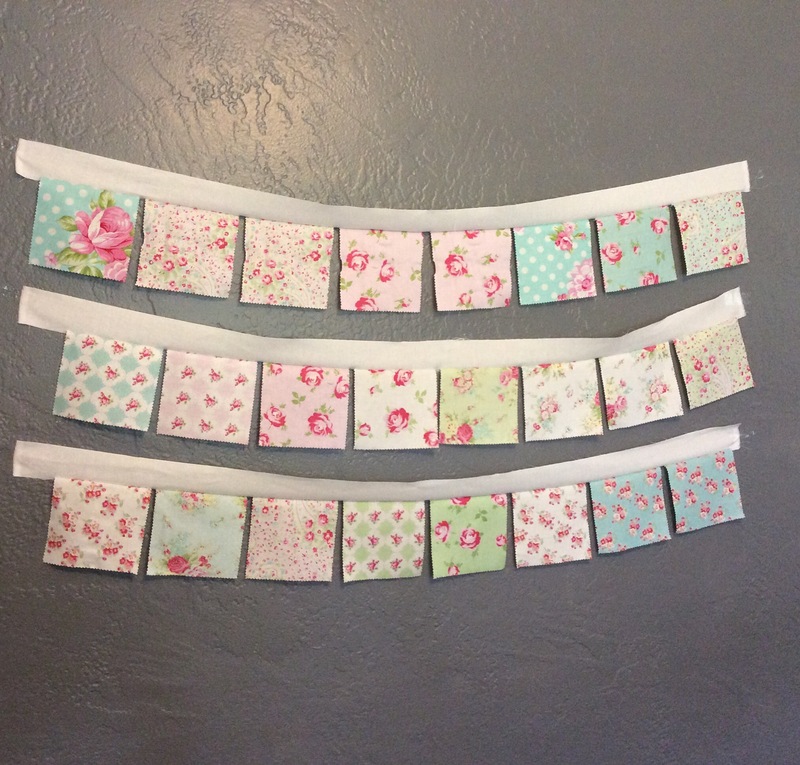 I didn’t want to cut the squares into tiny pieces, so I sewed them onto 2″ strips. I finished the quilt top and now am getting it ready for quilting by hand. I would do it on my sewing machine but I like the look of hand stitching and I have a hard time quilting something that large on my machine. That is so beautiful – I love that kind of fabric. And I wish I hand-quilted well because it really does add to a piece. Lucky granddaughter. 🙂 Thanks, Lillian! My stitches aren’t perfect, I’m really just learning as I go, but I’ve tried before to quilt on my machine and I really don’t enjoy it because the quilt is too large to fit. I do enjoy quilting small projects on it, though. It is so soft looking and pretty – how great for her to cuddle up in it! Can’t wait to see the quilting by hand. I’m just starting out. So glad to find your blog! I’m new to it, too. I like to do it at night, while my husband & I “watch” TV. It’s relaxing and I enjoy it. This is beautiful! I’m glad you didn’t cut up those pretty fabrics. 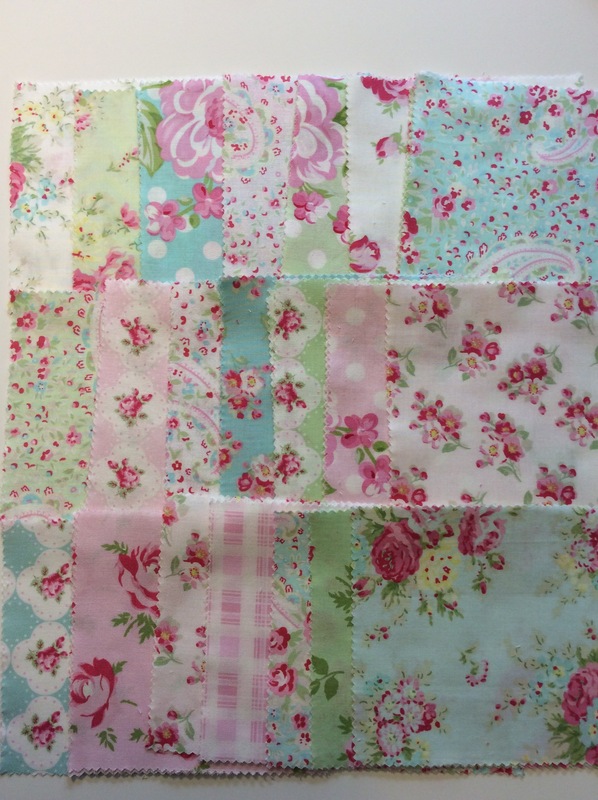 So beautiful, it’s going to be a gorgeous quilt. How wonderful that you are making this for your little grand daughter, it will be something will treasure her entire life. The charm quilt is very cute. I especially like how the turquoise blocks enhance the pastels. Another great pattern for charm squares is the “Falling Charms” pattern that Jenny Doan has a tutorial on at MSQC. Yes, I like pretty much all her patterns & tutorials! So lovely . . .what a blessing! Daisy, this is so very pretty. I look forward to sewing for grandchildren one day. 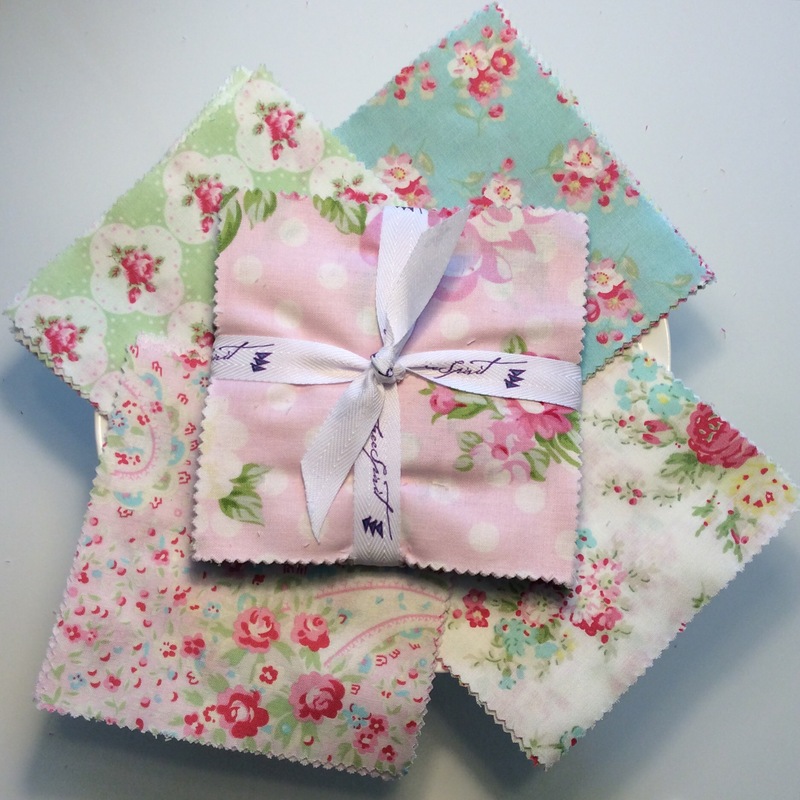 Your grandchild deserves hand quilting! 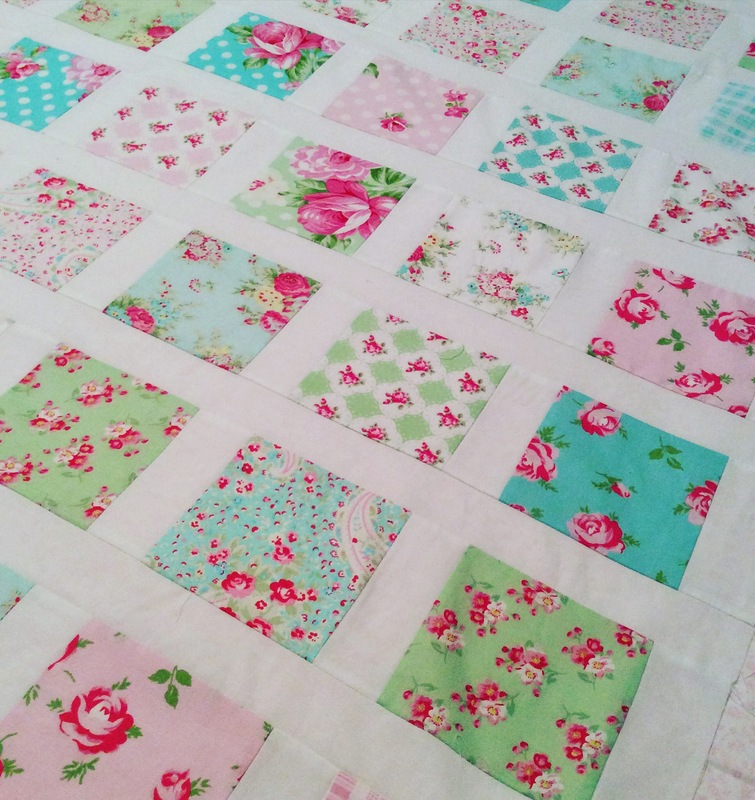 That’s such a pretty quilt–perfect. Haha, you’re right about her! 🙂 I hope I can make nice, pretty stitches — I’m new to this. I didn’t want to choose too much of a “baby” theme, so that she can use it when she’s older, too. This looks girly, but not too baby-ish. Love the window pane look — the white border around each one sets the fabrics off beautifully! So pretty!!! So very soft and feminine fabrics! Perfect for a little girl! Beautiful!